Epilepsy is a condition that affects the brain and causes repeated seizures, which were sometimes previously referred to as "fits". The severity of seizures can differ from person to person. Some children may simply experience an odd feeling with no loss of awareness, or may have a "trance-like" state for a few seconds or minutes, while others lose consciousness and have convulsions (uncontrollable shaking of the body). Some children may only have a single seizure at some point during their life. 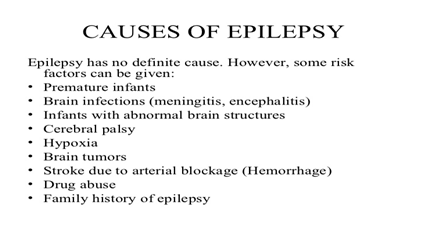 If they do not have a high risk of having further seizures, they would not be regarded as having epilepsy. These patients are possessed by God. They should be worshiped. This is rubbish, scientifically proved to be a disease of the brain causing excessive electrical signals producing abnormal behavior / movement and should be given medical treatment. Never touch a patient having seizure. The disease will be passed on to you. The patient having seizure needs your help and should be given appropriate care. Epilepsy cannot be passed on by touching the patient. Having a person in the family with epilepsy is a stigma, so this fact should be concealed. It is not a stigma and every effort should be made to remove this stigma through education. Epilepsy is a form of madness, so it should be treated in a lunatic asylum. Epilepsy is a disease of the brain, so it should be treated by physicians or neurologists. Children with epilepsy are dull and cannot learn, so they should not be sent to school. Children with epilepsy can be extremely intelligent. There are many examples of high achievers in history who have had epilepsy. Usually it is the stigma against epilepsy which prevents parents from sending their children to school, to learn and achieve their full potential. 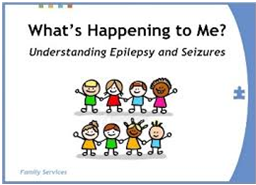 Signs & Symptoms: Seizures can take on many different forms, and seizures affect different children in different ways. Seizures have a beginning, middle, and end. The symptoms of a seizure may resemble other problems or medical conditions. If your child is sitting or standing, gently ease her to the floor. Keep your child's head from falling backward. You can place a soft object under her head. Turn your child on her side. Don't let her turn over on her back. This will prevent your child from choking in case she vomits. Do not try to open your child's mouth or place anything between her teeth. This could injure her gums or break her teeth. Do not try to stop your child's movement or try to shake her out of it. Stay with your child until the seizure stops. Did the seizure stay in that part of your child's body or did it move to other areas? Is there anything that you think might have triggered your child's seizure? Did your child experience anything unusual before the seizure started? Has there been a change in how often your child's seizures happen or in the type of seizure activity? If your child has soiled her pants or vomited, help your child get cleaned up. Let your child rest. She may be very tired and sleep for a few hours. Your child may complain of a headache or soreness. Talk to your child's doctor about what you can do for her if she's feeling pain. If your child feels cold, keep her warm with a blanket or coat. Some seizures can be caused by fever, so it's a good idea to check your child's temperature (rectally). Contact your child's doctor any time she has an unexplained fever. Write down your observations about your child's seizure. If this was your child's first seizure, call her doctor. Your child's doctor may evaluate your child or have you go to an emergency room. Ask your doctor how you can protect your child in case she has another seizure, and what you should do if she does have one. Your child is an expert about her own symptoms, so create opportunities to find out how she is feeling. Talk to her, use artwork to help her express her feelings, or use books about epilepsy to encourage discussion about what it is like to experience a seizure. The main symptoms of epilepsy are repeated seizures (fits). There are many different types of seizure, depending on the area of the brain affected. Single, isolated seizures are not always a sign of epilepsy. Seizures can be triggered by illness, fever, medication, or injury. Some events look like seizures, but in fact are something else. However, a first seizure should always be evaluated by a doctor immediately. Seizures come in many forms; your child's seizure could look like one or a combination of any of the following. What are possible signs of an absence seizure? Some of these less common features may result in the seizures being termed atypical absence seizures. Atypical absence seizures may be confused with complex partial seizures. With flexor spasms, the child's neck, arms, and legs draw towards chest. Because there is no obvious sign a person has epilepsy, unless they are having a seizure, it can make diagnosing epilepsy difficult. A diagnosis is usually made after a person has had more than one epileptic seizure. How epilepsy is diagnosed: To diagnose epilepsy, doctors gather lots of different information to assess the causes of seizures. Blood tests: to rule out other possible causes for your seizures, such as low blood sugar levels or diabetes. Electrocardiogram (ECG): To rule out the seizure being caused by the way the heart is working. Electroencephalogram is one of the tests used to help diagnose epilepsy. 2. Computerized Axial Tomography (CT or CAT). Up to 70% of people could have their epilepsy controlled with medication (anti-epileptic drugs). For some people whose epilepsy does not respond to anti-epileptic drugs, there may be other possible treatment options. Up to 70% of people could have their epilepsy controlled with AEDs. Anti-epileptic drugs (AEDs) are the main type of treatment for most people with epilepsy. Up to 70% (7 in 10) of people could stop having seizures with the right medication. Anti-epileptic drugs (AEDs) are different; they are a preventative medication taken every day to try and stop seizures from happening. They do this by reducing the excessive electrical activity in the brain that causes seizures. Treatment is usually only considered after a diagnosis of epilepsy has been made which usually happens after someone has had repeated seizures. Withdrawing anti-epileptic medication without medical specialist supervision may result in seizures. Herbal remedies should also be used cautiously because some of their ingredients can interact with anti-epilepsy medication. The stiffening and jerking phase of a tonic-clonic seizure lasts longer than 5 minutes. One major seizure follows another without full recovery in between. The person hits their head during the seizure and there is no sign of consciousness being regained within 10 minutes of the convulsions ceasing. Unconsciousness could be due to concussion. (Remember that some people sleep after a seizure. A sleeping person responds when gently shaken; an unconscious person does not). There is an injury you cannot deal with (e.g. if you cannot stop bleeding). The person is very confused and disorientated for a long period after the seizure. The seizure has occurred in water and it is suspected that water has been inhaled. It is the first seizure the person has ever had. What are the Risk factors for EPILEPSY ? A risk factor is something that makes a you child more likely to develop seizures and epilepsy. Sometimes a risk factor can cause scarring of the brain or lead to areas of the brain not developing or working right. Mild head injuries, such as a concussion with just a very brief loss of consciousness, do not cause epilepsy. Yet the effects of repeated mild head injuries and epilepsy are unknown. Drowning. If you have epilepsy, you're 15 to 19 times more likely to drown while swimming or bathing than the rest of the population because of the possibility of having a seizure while in the water. Emotional health issues. Children with epilepsy are more likely to have psychological problems, especially depression, anxiety . Understanding your children's condition can help you control it. Give himher medication correctly. Don't adjust dosage before talking to doctor. If you feel medication should be changed, discuss it with doctor. Enough sleep. Lack of sleep can trigger seizures. Be sure that your child get adequate rest every night. Wear a medical alert bracelet. This will help emergency personnel know how to treat your child correctly. The home is the most common place for seizure-related accidents. Activities such as bathing place the person with seizures at risk for injury. Making simple changes in household activities or home environment may create a safer home. Bathrooms, which have mirrors, sink, shower doors, bathtubs, and hard floors, can be risky for children with uncontrolled seizures. To give some privacy, place an occupied sign on the bathroom door instead of locking it. Give your child showers instead of baths. Make sure shower and bath drains work properly so water doesn't build up. Keep water temperature low to avoid burns. Use nonskid strips in tub or shower - everyone should use these! Use a shower curtain instead of a shower door, it's easier to get in and help someone if they fall in the shower. Use tub rails or grab bars. Use a shower chair or sit on bottom of tub and use hand held shower nozzle. Avoid scatter rugs. Wall-to-wall carpeting or soft flooring may reduce injuries for individuals who fall. Use covers or enclosed heating units or radiators. Secure televisions, computers or other things that could fall off tables. Avoid clutter in rooms. Also look around and make sure there is room to fall safely. Have an enclosed yard for children to play and prevent wandering during a seizure. Remove sharp or potentially dangerous objects from near the bed. Limit the number of pillows used so they don't get in the way at night. Avoid your child from sleeping on stomach. Share a bedroom or have someone nearby to your child who can help if a seizure occurs. Place a monitor in the room so a person can hear if a seizure occurs at night. Look into seizure alert or detection devices. They may be able to detect when a seizure occurs and alert someone, or call for help. - Smart Monitor is one that can detect repeated shaking during a seizure and may help with tonic clonic seizures. - Others are being developed so stay tuned. Be alert showers, baths, pools, spas and the ocean can be dangerous for anyone experiencing seizures. Swim in supervised areas, such as in a public pool with an attendant or at the beach between the flags, where lifeguards are on patrol. Tell the pool attendant or lifeguard that your child has epilepsy and the type of seizures he/she experience. You may need to brief them on how best to help your child if they don't already know. Diet for Epilepsy Treatment: When a child with epilepsy hasn't responded to two anti-seizure medications and isn't a candidate for epilepsy surgery, there's a third option to consider a ketogenic diet. It's based on a ratio of fat to carbohydrates and proteins. A normal diet contains a 0.3:1 fat-to-carb and protein ratio, but the classical ketogenic diet is based on a 3 or 4:1 ratio. The diet maintains a stable, low-normal level of glucose and higher levels of ketones (derived from fat metabolism) in the body, forcing the brain to draw its energy from fat instead of sugar. Think it might be right for your child? 1. Don't try it on your own. Children who may benefit from this diet need to be carefully chosen. The ketogenic diet may not be safe in children with certain rare metabolic disorders. Children beginning the ketogenic diet are admitted to the hospital and frequently undergo a period of fasting. The child's glucose levels are closely monitored as the diet is gradually introduced, and the child typically stays four to five days before going home with detailed dietary instructions. 2. 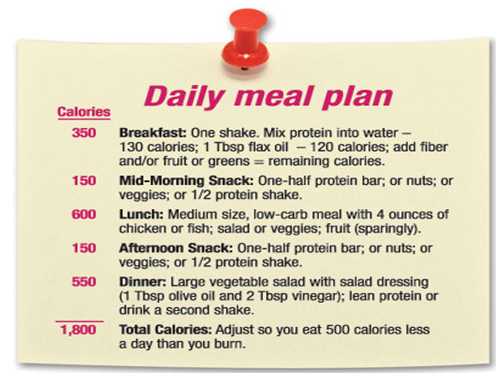 Implementing the diet: not easy, but doable. Strict compliance is needed for best results. 3. Have realistic expectations. The ketogenic diet is not a cure for epilepsy. Though reduction in seizures is common, sustained complete freedom from seizures occurs only rarely. 4. Other benefits may occur. Many parents will observe that their child is more alert and active while on the diet. They may continue with the diet for that reason even if there's no reduction in seizures. Patient's history about the type and frequency of seizures is recorded, previous treatments and ongoing medications are evaluated clinically. Depending on these, the patient is selected to be a candidate for the ketogenic diet.After this, patient is kept on a carbohydrate wash-out diet for a period of 2-3 days as against the standard method of fasting. The patient is advised with a diet very low in carbohydrates with normal proteins and fats are increased gradually in the diet. Normally, ketogenic diet is initiated with fasting. The aim of the fasting is to bring patient into 4 ketosis level. This usually takes 24-48 hrs. It is the most crucial period. This is the most important phase of the diet treatment. This varies with patients with an average period of 4-6 weeks. Patients come for a regular follow-up with the physician and dietician. During this period, calories and ratio of the diet are adjusted in order to maintain 4 level of ketones throughout the day.